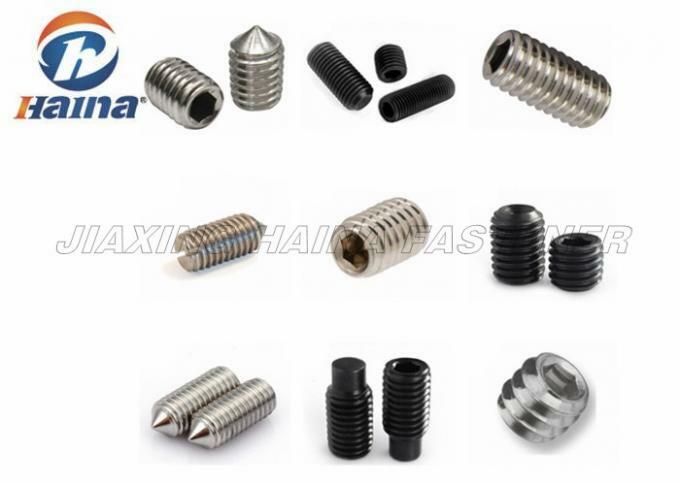 A set screw is a type of screw generally used to secure an object within or against another object, normally not using nuts . The most common examples are securing a pulley or gear to a shaft. A set screw is one type of hardware designed to fasten one object inside of another. The set screws prevents relative movement between the two objects, which allows each to function as intended. 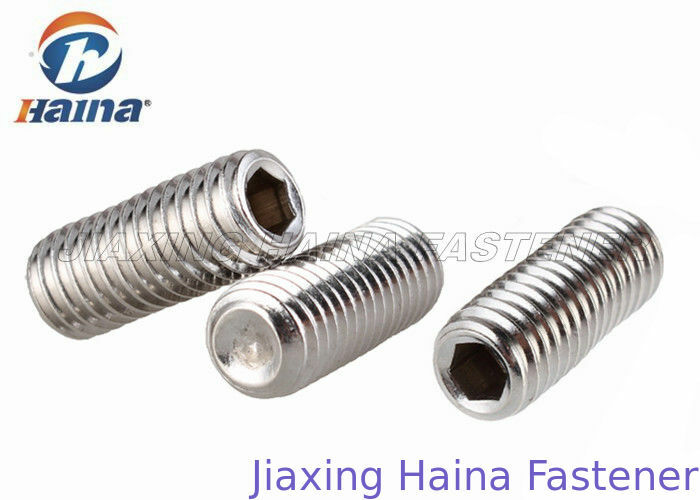 These screws are generally made from carbon steel , brass or stainless steel, and are designed to pass through the outer object and rest against the inner object without passing through. In some countries, this type of fastening device is generally known as a Grub screw rather than a set screw. Point Selection should take in account application, holding power, frequency of setting and hardness of mating parts. The Cup Point digs part into the contact surface for maximum holding power under pressure.Set screws are generally fastened using an internal mechanism rather than a traditional external head. At the top of the screw may be slotted for use with a screwdriver, or may have a hexagonal shape. Hexagonal set screws can be subjected to greater torque for a tighter connection, but require the use of special tools such as Allen wrenches.